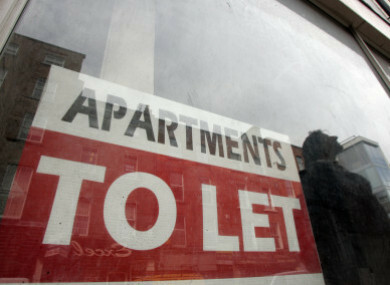 The WRC’s Valerie Murtagh has found that the landlord discriminated against the woman. A MOTHER SUFFERED increased panic attacks and anxiety as she feared for herself, her partner and their three year old daughter being rendered homeless after their landlord refused to accept rent supplement payments. Now, the Workplace Relations Commission (WRC) has upheld the woman’s discrimination claim against her landlord and has ordered the landlord to pay her €7,000 in compensation. WRC Adjudication Officer, Valerie Murtagh has found that the un-named landlord discriminated against the woman by breaching his obligations under the Equal Status Acts when he refused to participate in the Housing Assistance Payment (HAP) scheme. Murtagh said that she found the tenant “to be a cogent and credible witness” and in contrast, found the landlord “to be inconsistent in his evidence”. In her evidence, the tenant stated that the landlord’s refusal to participate in the HAP scheme was having “a detrimental effect on her mental health causing increased stress levels, panic attacks and anxiety in fear of being left homeless with a two year old daughter”. She stated that her medical condition has been recognised and diagnosed by her GP and she was prescribed antidepressant medication. The tenant contended that “all of this could have been avoided if the landlord had not discriminated against us in relation to the HAP scheme”. The landlord served eviction notice on the tenant on 16 July 2018 on the basis that a family member of his would require the property. The Residential Tenancies Board found the termination notice to be invalid but the landlord has appealed this decision. The family first approached the landlord in November 2017 to see that if he would enter the HAP scheme and provided him with the relevant documentation. A couple of weeks later, the landlord replied and stated that after discussing the matter with his sister, he would not accept HAP payments. The tenant then went to Threshold who advised her that it was illegal for a landlord to refuse to participate in HAP. Late, the landlord stated that he would accept HAP but filled out the forms incorrectly. In June 2018 the landlord told the tenants that his sister is not willing to accept HAP and that she is considering moving back into the property when the lease expires on 4 August 2018. The tenant told the hearing that the landlord was doing everything to push them out of the property so he does not have to accept HAP. The tenant stated that she had pleaded with the landlord to accept HAP to help them through the tough financial time they were then experiencing. The landlord denied that he discriminated against the tenants on the HAP ground. He stated that the property in question was the family home where he grew up and where his late father lived into his old age. He states that when his late father died in June 2016, he left the property to himself and his sister. The landlord’s sister decided that that she didn’t want to move in and the landlord stated that his daughter wanted to move into the home. The landlord contended that he has no issue with HAP or never did. He stated that the real problem is that he wanted the old family home back and that the tenants had a problem with this. Director of Advocacy with Focus Ireland, Mike Allen said: “We welcome the growing number of cases where tenants who need to avail of HAP have taken cases to the WRC and had their rights upheld. “It is important that these cases are highlighted to landlords and agents so that they are very clear about their obligations and the consequences of failing to meet them. Email “Landlord to pay mother €7k after landlord refused to accept rent supplement money”. Feedback on “Landlord to pay mother €7k after landlord refused to accept rent supplement money”.